Samsung Galaxy Sport leaks have been coming thick and fast recently, with official renders appearing online at the beginning of the week, followed by a slew of never-before-seen details released today. The latest leak has revealed almost everything about the unannounced smartwatch, including the amount of built-in storage, screen size, chipset, and battery capacity. Perhaps the biggest news is that further evidence that the smartwatch will be called the Samsung Galaxy Watch Active, rather than the Samsung Galaxy Sport. This had previously been rumoured, but is has now been confirmed by the XDA Developers, who uncovered the logo bearing that name. The site also delved into the upcoming smartwatch's firmware and uncovered pretty much everything you need to know about it. 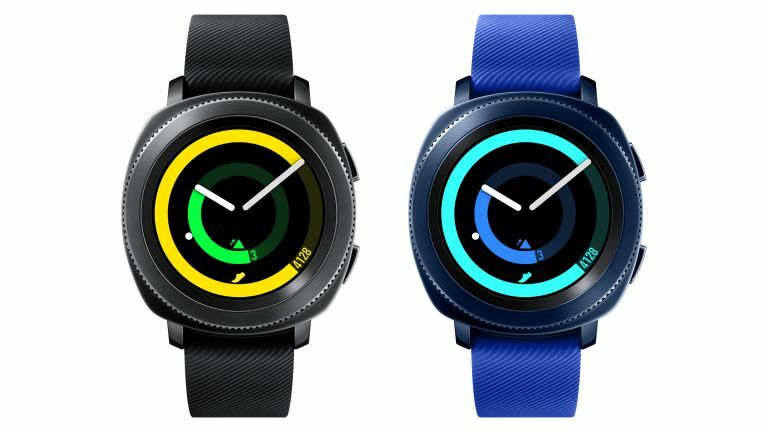 The Samsung Galaxy Watch Active will run Tizen 4 straight out of the box, and, according to the firmware, it will be on a 1.3-inch display with the Exynos 9110 chipset inside. We know from previous leaks that the smartwatch will include 4GB internal storage. That's identical to the Samsung Galaxy Watch, which was released in August last year. There is also evidence of a Wi-Fi-only model, as well as an LTE model. We also know that Samsung will include a heart rate monitor and NFC for Samsung Pay. We're expecting Samsung to unviel the Galaxy Watch Active alongside the Samsung S10 on February 20 at its Unpacked Event, or, potentially, a few days later at MWC 2019.